This is a branded Laing DDC high-performance water pump. This pump features 3/8″ (10mm) non-removable plastic barbs to support any 12mm ID tubing. 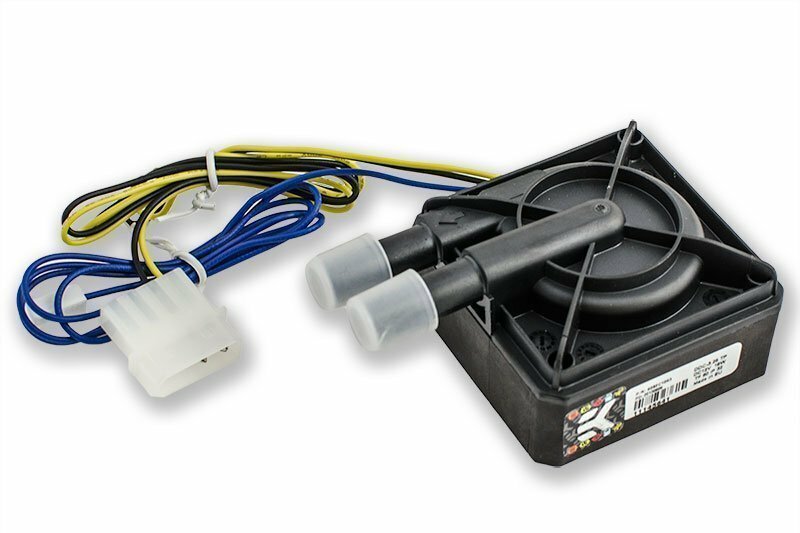 This pump is compatible with any EK-DDC X-TOP pump top and X-RES series pump reservoir combo unit. Despite a remarkably small footprint of 2.4″ square, the pump features an astounding 7m of head to provide superior flow rates in today’s most complex liquid cooled systems. The pump is also a high reliability, high pressure industrial pump, featuring a 50,000 hour MTBF (5 year lifetime). 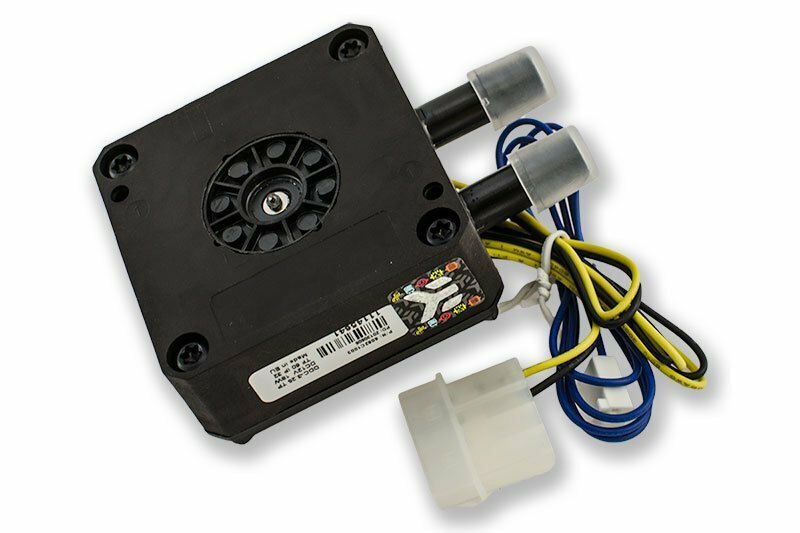 It’s compact design, quiet and powerful motor make it ideally suited for heavy duty cooling in environments where space is at a premium. Technical specifications: – Dimensions (W x D x H): 90 x 62 x 38 mm – Motor: Electronically commuted ball bearing motor – Rated voltage: 12 V DC – Power consumption: 20 W – Maximum head pressure: up to 7.0m – Maximum flow rate: up to 1000 L/h – Maximum liquid temperature: 60°C – Materials: Stainless steel, PPS-GF40, EPDM O-rings, Aluminium oxide, hard coal – Power connector: 4-Pin Molex- and 3-Pin DC FAN connector Pump made in Hungary – EU! .